A classic ivory lemon to pale yellow rose Elina was first released in 1984 and has been a favourite ever since. How good is it ? 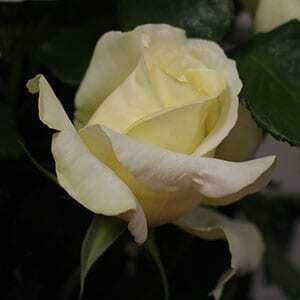 It is seen as one of the best cream to yellow flowering roses in the world, so thats pretty good. It is disease resistant , has good foliage, repeat flowers and will produce good numbers of flowers with each flush. This is a tall growing rose to around 1.5metres, the flowers appear on tall strong stems, so its great for cut flowers as well. You could plant Elina in a cutting rose garden, where it will provide you with an abundance of flowers. Grow it in a container, or use it as a feature in the border. We suggest using a general purpose rose food such as Sudden Impact for roses with an application every 8 weeks from early spring through summer. Regular seaweed fertiliser application will also help keep your Elina Rose Bush flowering freely.